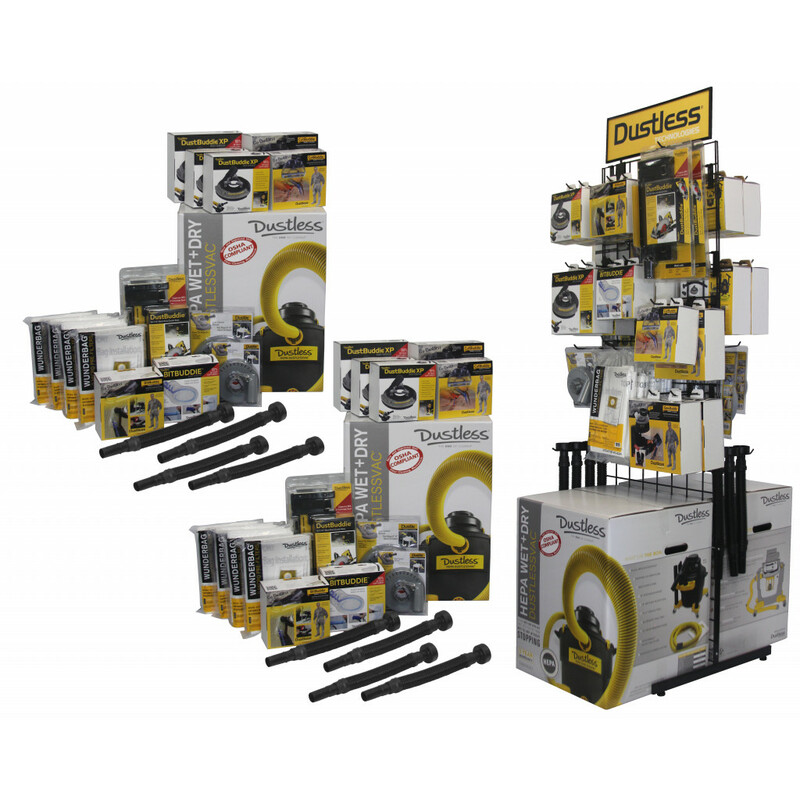 Fully stocked display comes with an assortment of our best-selling items. This is a turn-key solution that should meet the majority of your customers’ dust control needs. OSHA Compliant Shrouds and HEPA & Wet+Dry Vacs.